Create a process infographic on data security through presenting 5 main points of the necessary protection. 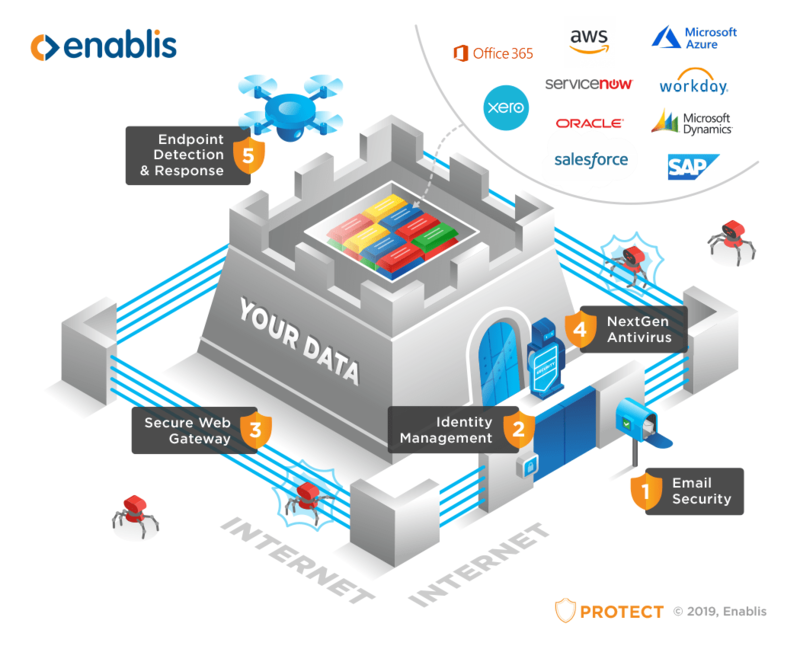 The principal purpose of this infographic is to get across the idea of the importance of such security measures in the web environment by drawing parallels with the security of a building. We went with the three-dimensional graphic visualization of a house which serves as the storage place of data in our case. Different building's elements symbolize particular stages of the security system verification. For example, the mailbox represents E-mail Security and the house electric fence - Secure Web Gateway. Since this infographic piece was a part of the series, our designer team followed the same stylistic as in the previous infographics. Thus, we ended up with an interesting and engaging visualization of the zero-trust security framework.